Today was the second of our tours of Tel Aviv. The first dealt largely with the establishment of the city; this second trip was more focused on its ensuing development. 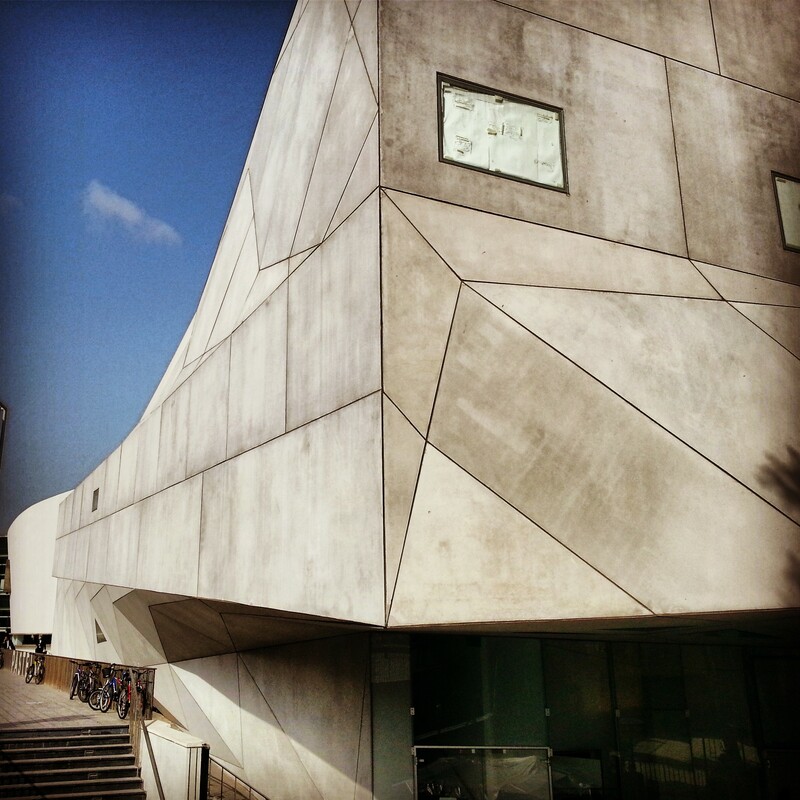 Our day began by the Tel Aviv Art Museum, in an area with many key cultural buildings (the opera, the Kamari theatre, the court house and the library, to name but a few). We learned about the development of these cultural institutions and the rationale for their current location. While in the area, we popped south into the area of Sarona, a former German Templer colony much like the ones in Haifa and Jerusalem. The area is currently being refurbished and should be opened in within the next year – expect restaurants and cafes in quaint old buildings. 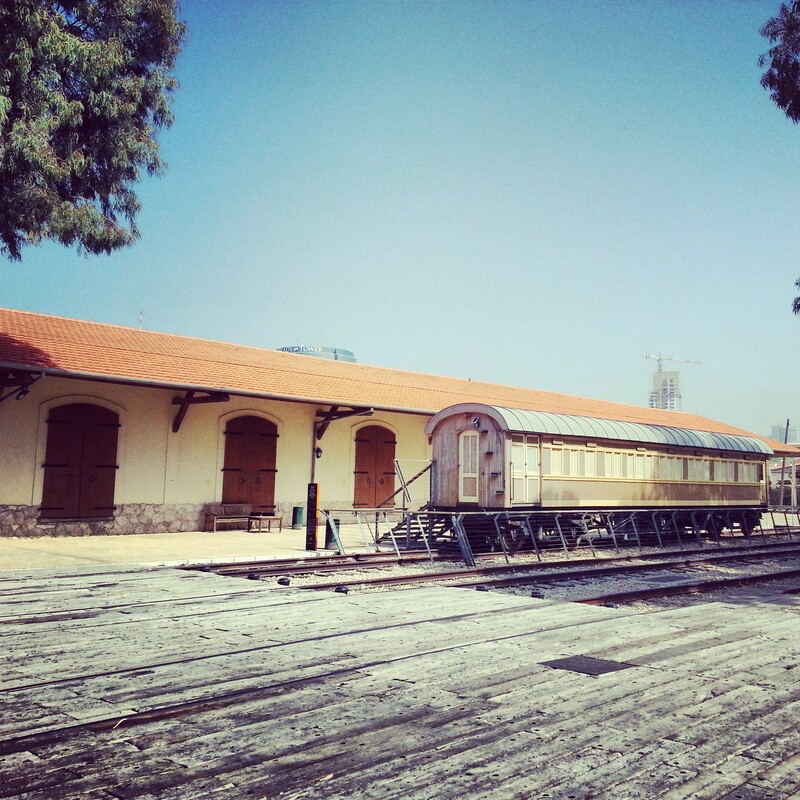 We then visited the old train station of Jaffa, known as the Tachana. Refurbished and reopened a few years ago, replete with designer boutiques, fancy cafes and swanky bars, it is a popular destination for locals and tourists alike. So much so, that the other end of the line in Jerusalem recently underwent a similar overhaul and is likewise proving extremely popular. 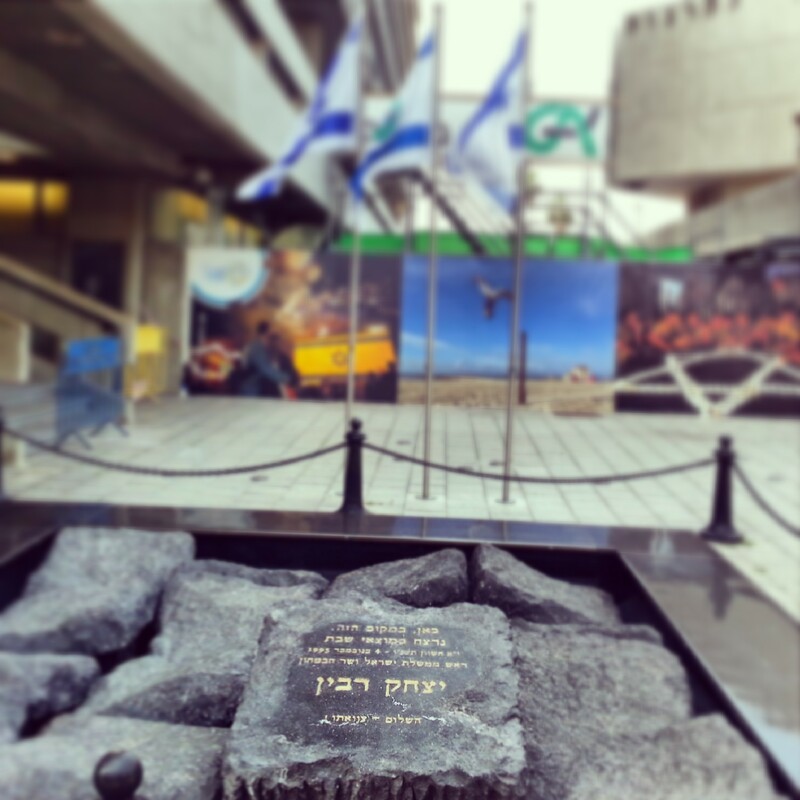 From the train station, we travelled north along the coast to the memorial to the illegal immigration to Israel (known as the ha’apala) during the British mandate, located at the end of Bograshov street in an area called London Park. I must have walked down past it over a hundred times and never noticed it, yet another example of how it is possible to walk around one’s home city with one’s eyes almost shut! 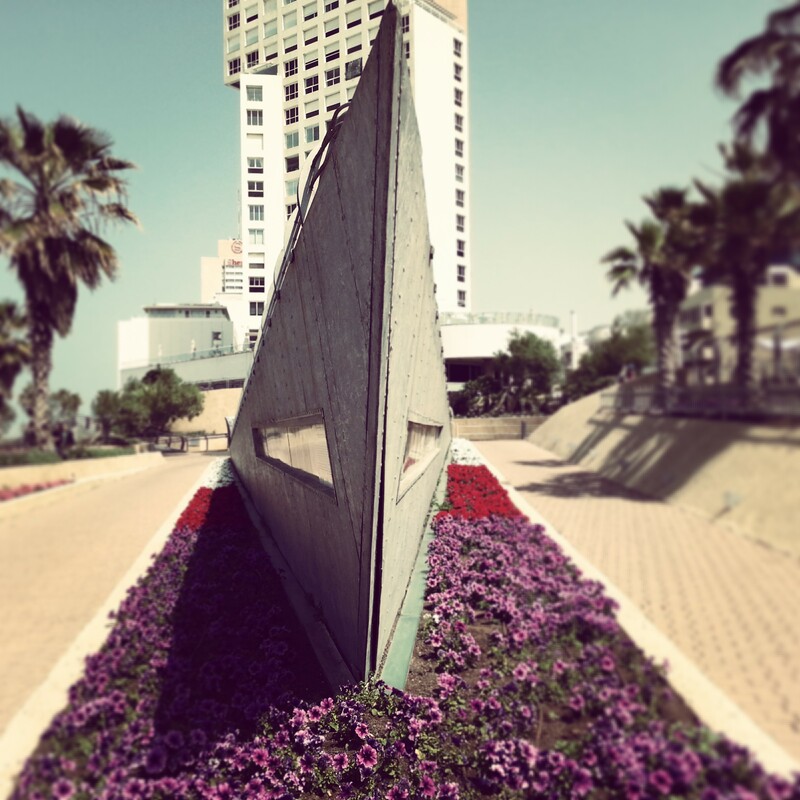 The memorial, built in the shape of a boat, tells the story of the Jewish refugees from Nazi Europe who tried to move to Israel despite the British prohibition on doing so. From here, we headed into town and to Rabin Square. Stopping at the memorial to Yitzchak Rabin, we talked about his assassination in 1995 and the impact on Israeli society. Our guide offered us a few ideas as to how to present the site and its story to visitors, which gave some useful food for thought. 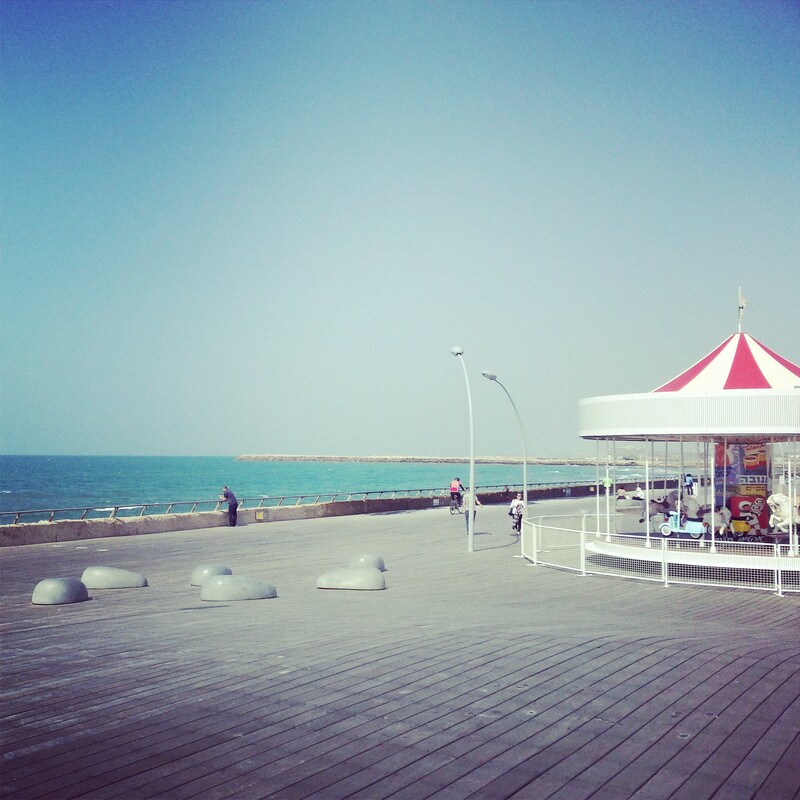 Continuing north, we headed to the old Tel Aviv port for a well-earned lunch break. After hearing the story of the development of the port in the 1930s and 40s, we walked north, crossing the Yarkon River and finding ourselves at Tel Kudadi, remains of a Canaanite settlement just next to the old lighthouse. Once more it seems that wherever you go in this country you are walking amidst ancient history! Our final stop was at the relatively recently opened Israeli Museum also known as the Yitzchak Rabin Centre. 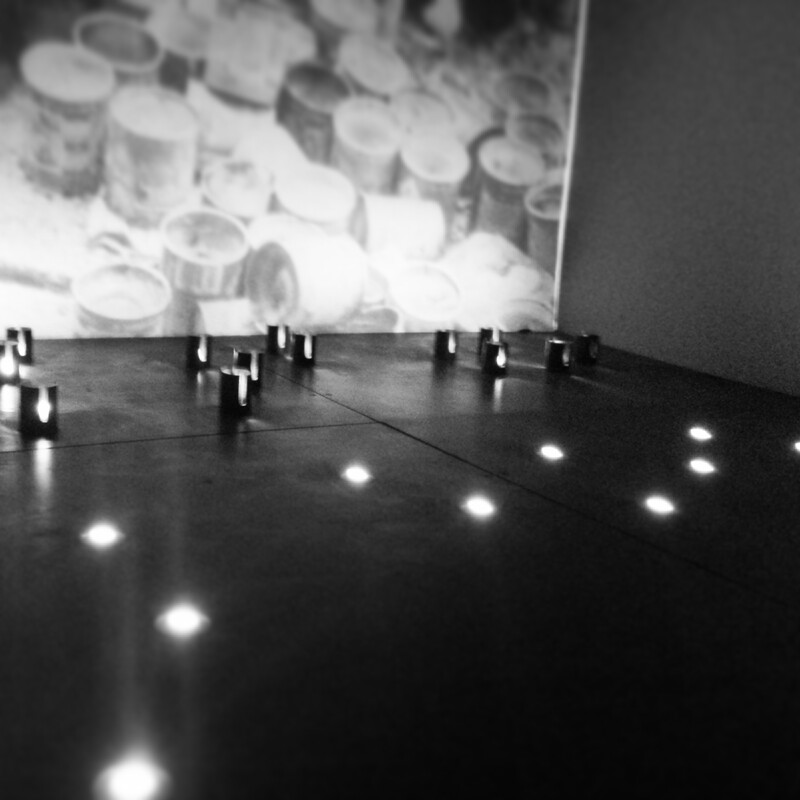 The centre cleverly uses the life story of Yitzchak Rabin in parallel to the State of Israel in order to take the visitor through the history of the state. Since his youth as a young pioneer, Rabin was integrally involved in the state’s history, and was a major influence on its destiny, so the way the museum is built seems appropriate, and is a moving memorial to one of Israel’s greatest figures. A moving conclusion to a great day in and around my home city. 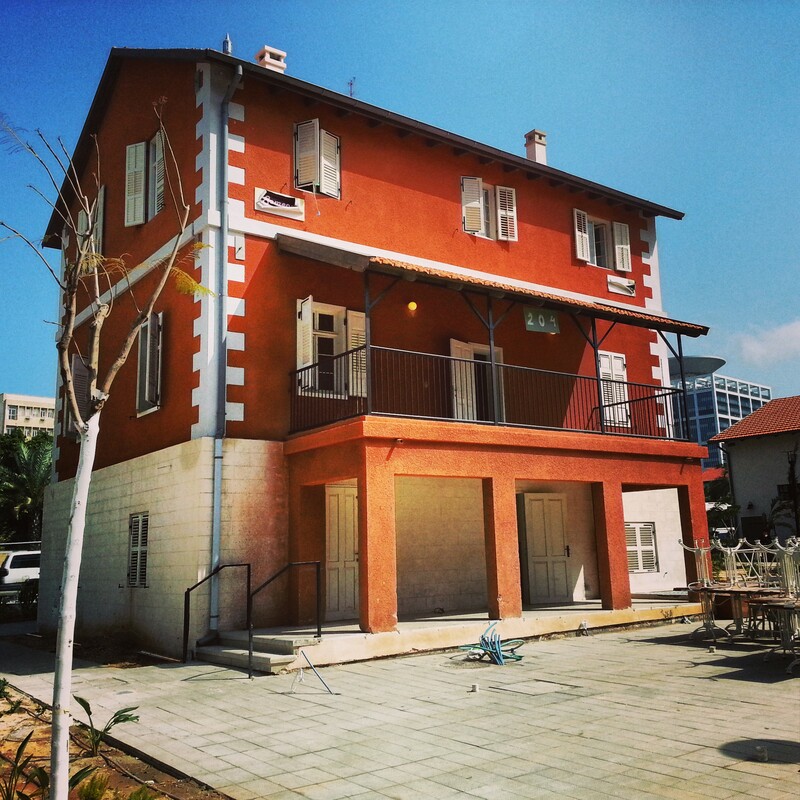 I look forward to showing people around Tel Aviv and telling its stories!